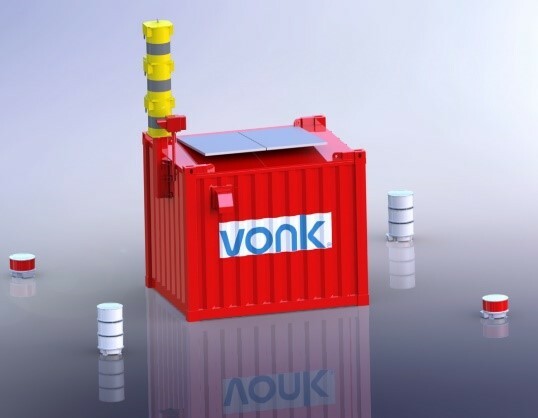 VONK has developed a fully self-supporting cost effective decommissioning skid for offshore application. These units can be deployed at offshore subsea wells that are operationally end of life. The almost maintenance free skid is powered by a renewable energy source fed by solar and includes a small diesel driven back-up generator that ensures almost no SOx and NOx emissions and require little or no refueling. 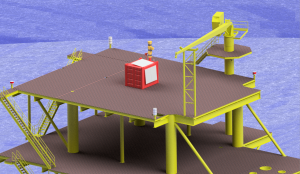 The skid powers the built-in process monitoring and control systems as well as the navigational aid systems for offshore platforms and is featured with remote alarming and control. The system can be configured to your specific requirements. Moreover VONK offers also options to lease or rent equipment depending on your need.